Welcome to any of you new to my blog! My entry for the Blogger's Quilt Festival is probably not a surprise for those of you who have been following for a while. It's one of my favorite quilts I've ever made. The piecing and quilting were more challenging than in many other quilts I've created. I couldn't be more thrilled with the end result. I hand-drew the giant templates for each paper pieced star point. I quilted the entire thing on my domestic, home machine. The quilt is about 80" square. The colors are completely, 100% "me". This quilt just makes me happy. Sometimes it's surprising where our creative journey takes us. I simply started this quilt with the idea to supersize a traditional quilt block into a quilt. This became the result. The creative process is why I quilt. I love seeing my ideas take shape in fabric. Sometimes they work really well, sometimes they don't. Although I love my finished quilts, the actual process of creating is why I do this. Wow, that is gorgeous! Great work! What an accomplishment -- it's great! And I love that you documented your creative process. Absolutely amazing! Hand drawing the paper pieced templates, wow! Such a gorgeous quilt! Well done! Lovely! Almost angelic like somehow! You have inspired me, thank you!!! 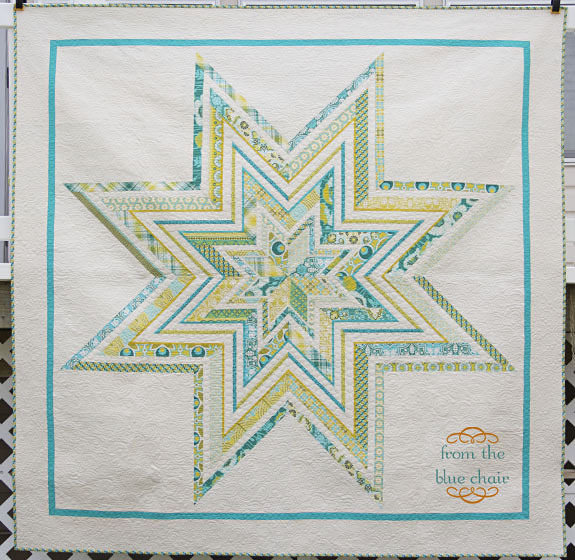 Your giant star is so beautiful - love the pretty colours and fabrics. GREAT quilt I love it! Thanks for your tutorial too. 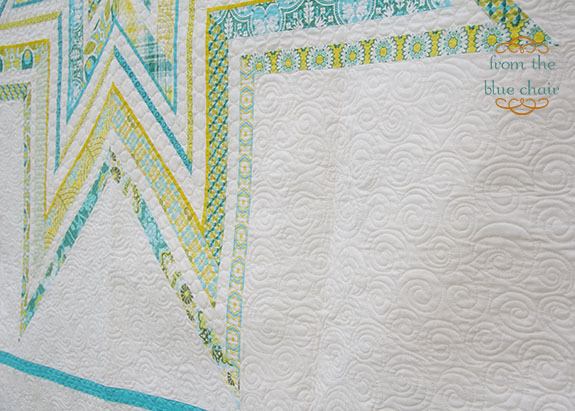 This quilt has been a fav of mine since you first debuted it. It's a great entry for the Bloggers Quilt Festival. I guess I didn't realize you had quilted it on your domestic machine. That in itself must have been a huge challenge considering the patterns you chose to use. Another great job! Wow love the colors and the pattern, beautiful quilt!! Very beautiful quilt. I love the colors and the crispness. 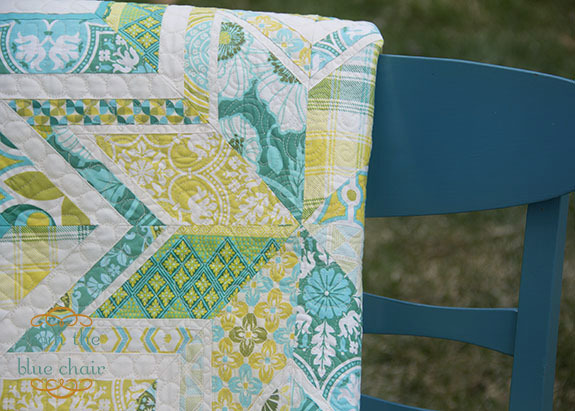 Your challenges in piecing and quilting surely paid off! That's a very large quilt to quilt on your home machine. congrats! I love this quilt. So pretty. such a beautiful quilt. Like you, it's the process of creating that I like best, too! I love the quilt - the colours are fabulous. I love super-sized stars. Yours is particularly lovely. And you did a really nice job on the quilting. I'm a process girl too! And this quilt is beautiful! I really really love it! I hope you can publish or share....I recently discovered that making a big block quilt is fun for baby quilts, and super fast. This is so pretty. Love the lines and the negative space.